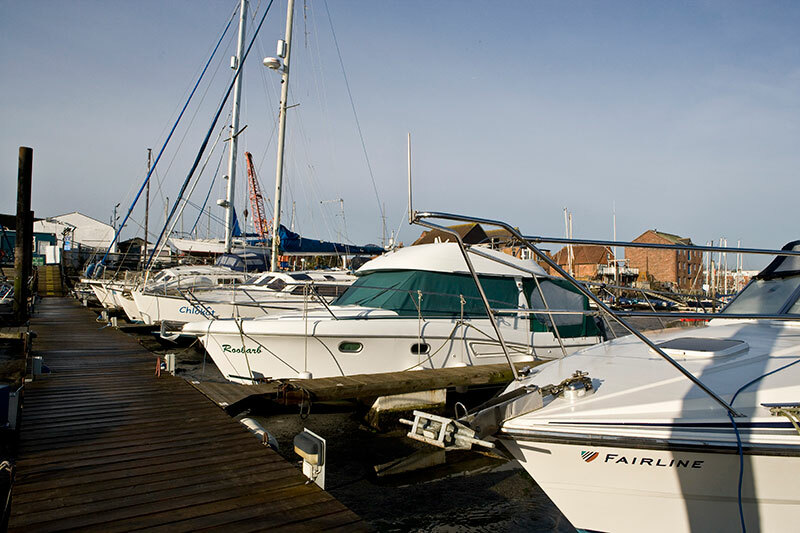 PME is a privately owned boatyard sat on the historic quayside in Fareham, Hampshire, nestled within the upper reaches of Portsmouth harbour. It is this delightful setting, realistic rates and the many facilities to hand that makes it the popular choice for a boat mooring. For the traveller we are agreeably close to junction 11 of the M27, ( less than 2 miles), and for those living nearby we are even closer to the A27 and A32. Once on site, whether lounging on your boat enjoying the view across the creek towards the golf course, or working on your boat in our yard, you will be happy in the knowledge that, on the quayside there is a chandlery next door, a yacht broker, marine engine sales/repairs, and a very good traditional pub. Within a 10 minute stroll is Fareham town centre with its many shops, restaurants and pubs, and with a brand new Tesco recently opened. The yard is managed by the ever helpful Martin Psaila, and it is to him that all initial enquiries should be addressed, and all queries thereafter. PME is part of VRS Holdings, a family run business whose office is just a 2 minutes drive from the yard, and it is there at VRS Precision Engineering Ltd that Serena, Amber and Lucy handle the accounts etc. Adjoining VRS is Fareham Snooker Club at which all berth holders have free membership.